Wake up Dormant Clients & Drive Action with Beautiful Email Campaigns. Add CTAs to your emails, enabling clients to book appointments, complete a payment or submit a document 24/7 from any device. Easily create email campaigns, manage subscribers & get real-time results – all from your mobile. Import contacts & use tags to segment clients based on their location, interests and more. Create beautiful coupons to get more bookings, promote new services and more. Get real-time analytics – see how each email campaign impacts your bottom-line. Create killer campaigns with zero design skills. 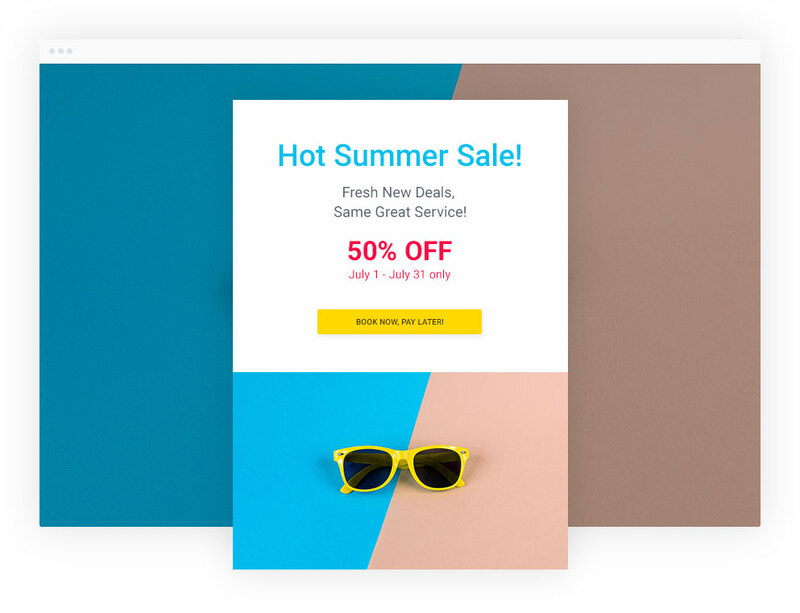 Simply use our pre-built email template, pick an image from the free gallery and viola! You’re all set. Each vCita email campaign is built with client engagement in mind. Prompt clients to schedule an appointment, upload a document, complete a form or pay for a special offer – all in a single click. Add a scheduling button to each email campaign you create, enabling prospects & clients to book appointments or register to events around the clock – even while you’re asleep! Add a personal touch to your email campaigns. Customize your email templates to include a client’s first name and improve click-through rates instantly. Use vCita’s campaigns tool to learn how each campaign affects your bottom line. 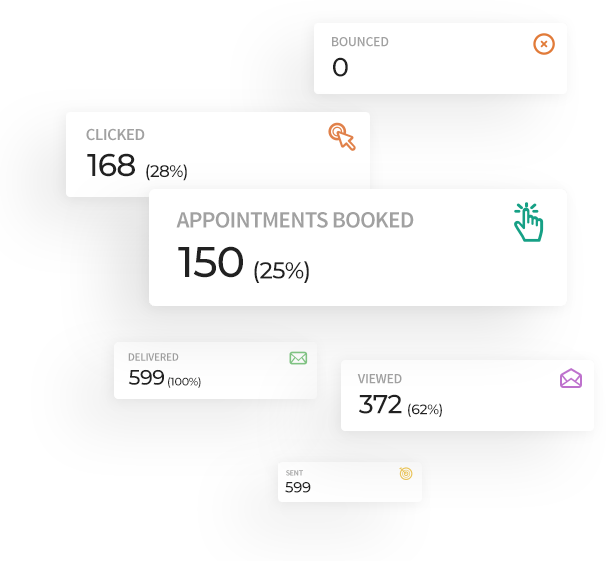 Track actual client activity, measuring the real success of your email marketing: new clients, scheduled appointments and payments. Create your first campaign today! It only takes a few minutes.